A global campaign for disaster reduction education will be launched on 15 June at UNESCO (6 p.m., Room II), by the Inter-Agency Secretariat of the United Nations International Strategy for Disaster Reduction (ISDR), UNESCO and the French National Committee for the United Nations Decade of Education for Sustainable Development. The campaign, entitled “Disaster Risk Reduction Begins at School", has two main objectives: promote disaster reduction education in school curricula, and improve school safety by encouraging the application of construction standards that can withstand any kind of natural hazard. 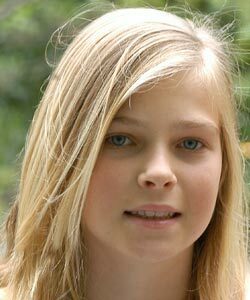 The effectiveness of risk reduction was demonstrated during the December 2004 tsunami: a young girl, Tilly Smith (who will tell her story at the launch) saved a hundred lives thanks to what she learned in a geography lesson about tsunamis before going on holiday to Thailand with her parents. As for young Anto of the island of Simeuleu, he was spared by his knowledge of past tsunamis, a memory his community has carefully preserved. How vulnerable children are in natural disasters was shown in the earthquake that struck Pakistan in October 2005 when more than 16,000 children perished at school – and, more recently, in the earthquake on the island of Java. Koïchiro Matsuura, Director General of UNESCO, and Sálvano Briceño, Director of ISDR, will both speak at the launch. Films about the experiences of children who lived through the disasters in Indonesia and Thailand will be screened. The event will also feature first-hand accounts of a dozen children who will be present, a debate with audience participation, and the presentation of a video game on disaster risk reduction. French actor Gérard Klein will take part in the launch, and Jamy Gourmaud, host of a science programme on French television (“C’est pas sorcier”, France 3) will moderate the discussion. The launch has been planned within the framework of the International Symposium on “Progress and proposals regarding education for sustainable development” organized, also at UNESCO, 14 - 16 June, by the French National Committee for the United Nations Decade of Education for Sustainable Development. A B-Roll with the stories of Tilly and Anto, and a presentation of Cuba’s experience in hurricane risk prevention education will be available and transmitted by the European Broadcasting Union (EBU) as of 14 June. A media information kit with the two DVDs will also be available. Photo: Tilly Smith at UNESCO Headquarters.